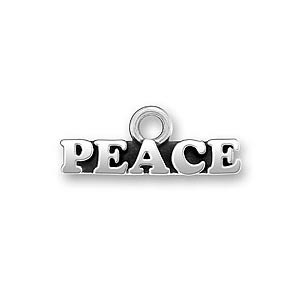 All of our miliatry charms are sterling silver and Made in the USA. 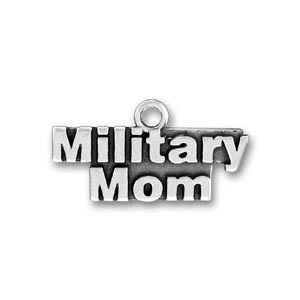 We offer, AIR FORCE, ARMY, MARINES, NAVY, COAST GUARD, MILITARY MOM, MILITARY WIFE, RIBBON, FLAG, HEART, USA, PEACE SIGNcharms. 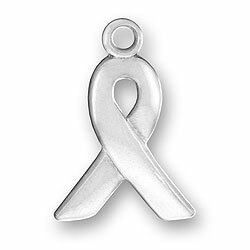 This is a simple and beautiful sterling silver ribbon charm. 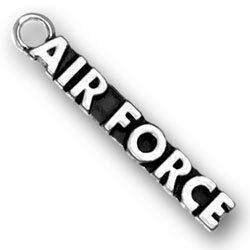 Air Force kids and those who have loved ones in the Air Force will treasure this Sterling Silver Air Force Charm. Are you in the Army? Do you have a loved one in the Army? 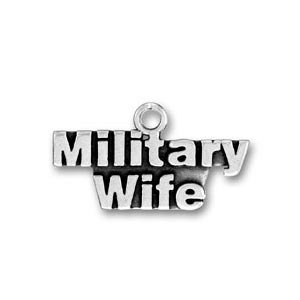 This Sterling Silver Army Charm lets the world know about your Army affiliation. 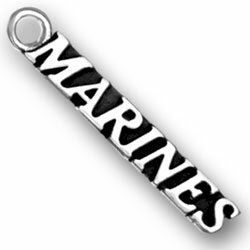 If you are in the Marines or if you know someone in the Marines, show the world how proud you are with this Sterling Silver Marines Charm. 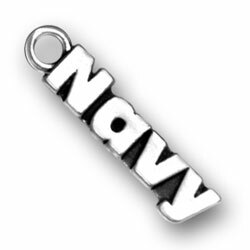 Anyone who has a loved one in the Navy or who is in the Navy would be thrilled to wear this Sterling Silver Navy Charm. 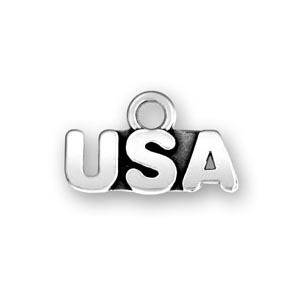 Wear this USA charm proudly on your bracelet, necklace or phone! 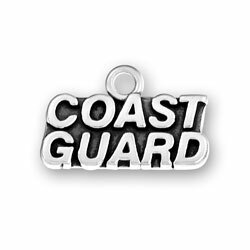 Members of the Coast Guard and those who love them will all be proud to wear this Sterling Silver Coast Guard Charm. 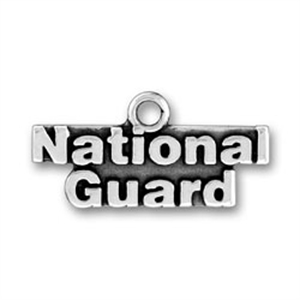 Gram Weight: 2.3 Military National Guard Charm This Sterling Silver National Guard Charm is proudly worn by those who defend, serve, and protect our great country. 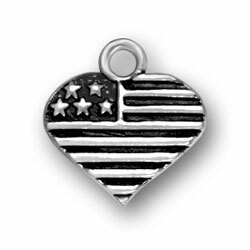 USA Citizens or anyone who loves America will be delighted to own and wear this Sterling Silver Heart Shaped American Flag Charm. 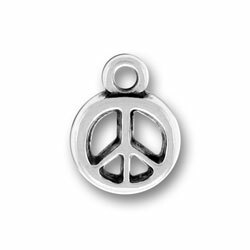 This is a beautfiul sterling silver PEACE charm you can wear on your bracelet, necklace or phone.